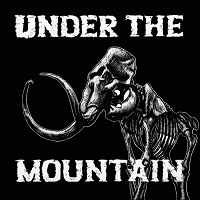 From the backwoods of Vancouver Island, UNDER THE MOUNTAIN are back with another hard rocking album. I believe this is the second album from the Vancouver quartet but I wasn’t able to find much information about the band nor their past releases. It’s definitely something out of the ordinary and a style I haven’t really reviewed as of yet in my 4 plus years at Metal Temple. They remind me a lot of the Southern Rock of the 70’s from the USA mixed in with the hard rock roots of a band like VAN HALEN. For instance, the singer reminded me a lot of Sammy Hagar on some songs. But in fact I would say he sounds more like the Sammy Hagar from the MONTROSE days to be perfectly honest. I would say that most songs are very interchangeable. Nothing really stands out and the order of the songs is not really that important. Everything seems to flow very nicely nonetheless except ‘’Ash and Dust’’. This song is just way off, so much different than anything else on this album. This actually sounds a lot like TOOL for some odd reason. It has some screeching vocals which are a bit buried by the rest of the band actually. I felt this song did not fit the mold of the band at all and was surprised when I first heard it. It’s a pretty good song but goes against the grain to say the least. ‘’Whiskey Rock’’ is the best example on what brand of hard rock they bring and I just loved the ‘’Lemmy’’ song, an homage to the legend himself. I thought these two songs really represent the band’s song and their output for fans. A pleasant surprise for a lesser-known band!